Happy Easter vector art illustrations. 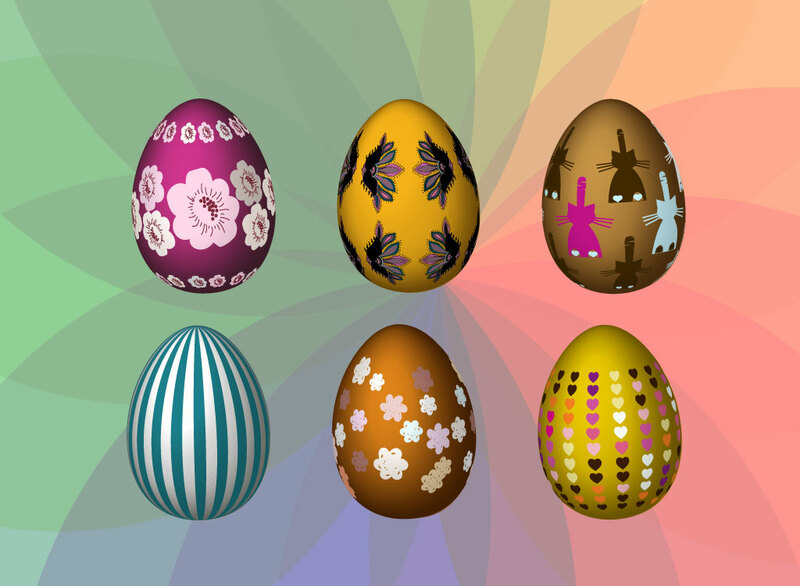 Beautiful set of six realistic vector Easter eggs with bright colors and fun designs. The gradient work in this free download is very well crafted and gives each egg a feeling that you can reach out and grab them. Perfect for your spring and Easter holiday decorations and greeting cards. Download eggs graphics for your spring, April, chocolates, season, celebration and holidays designs. Tags: Celebration, Chocolates, Easter Vector, Event, Greeting Card, Holiday.